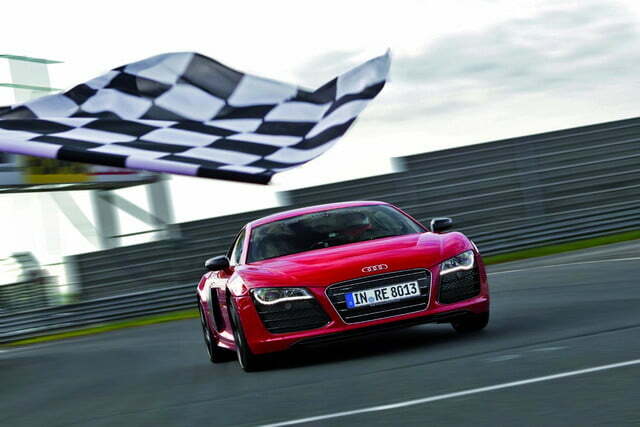 Good news for Iron Man: Audi is going to put the Audi R8 e-tron into production. This electrified version of Audi’s fantastic supercar was put on hold and slated for cancellation earlier this year. Thanks to some rethinking and improved battery tech the electric, though, Audi is slated to hit the pavement in late 2014 or early 2015. 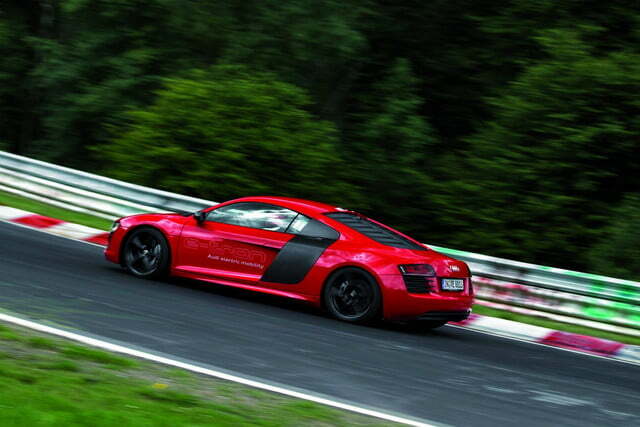 For starters, if any production car looked as though it should be powered by bottled lightning, it’s the R8. That shape has always looked like it came from the future. But will the electric powered model live up to the hype? There are some downsides. Despite improvements, batteries are still very heavy. 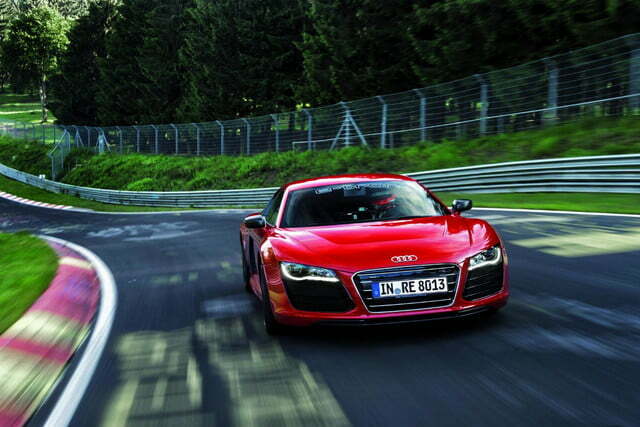 The R8 e-tron prototype weighed in at 3,900 pounds, around 450 pounds more than the V10 version. And, in the prototypes, the range was limited to just 130 miles. Despite this, the car put up some very impressive performance figures: 0-62 mph in just 4.2 seconds and a lap of the Nurburgring in eight minutes and nine seconds. 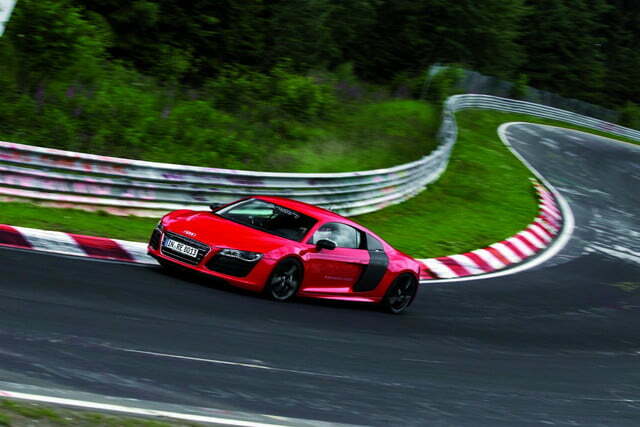 It could have lapped the ‘Ring faster, too, had the car not been limited to just over 120 mph. The R8 e-tron’s speed through the corners is in large part thanks to the massive 500 pound-feet of torque it puts out, which the car’s computerized brain is constantly vectoring between wheels. 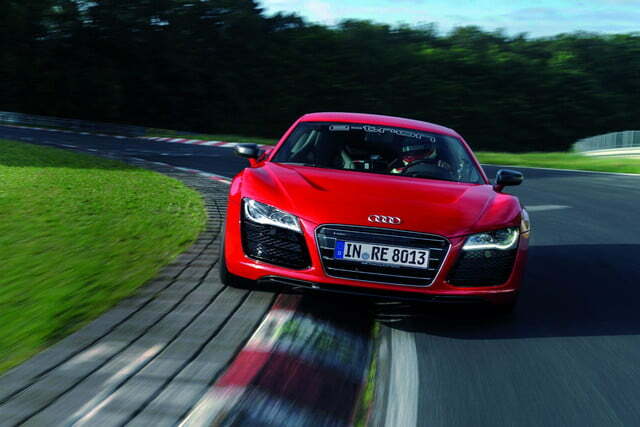 The ability to do this quickly is unmatched even by the famed mechanical quattro system. But, as Australia’s Drive.com reports, the production e-tron should be even more impressive than the prototype. Higher energy density batteries should provide for lower weight, nearly doubling the range and likely improving performance. That, my friends, is thrilling. Unfortunately, Audi is still viewing this as a low production Halo model that will build the brand and act as a technology development platform. The closest most of us will get to the R8 e-tron’s tech will be by way of Audi’s other e-tron cars, like the soon-to-be-released A3 e-tron. But, hey, if the other e-trons are anything like Tony Stark’s ride, that’s fine by me.